John Schlenck, a dear friend for 34 years, passed away yesterday afternoon at 3:58pm. He suffered a massive brain hemorrhage in the Center’s Monastery at about 8pm on Sundayyevening. Doctors from Grady Hospital’s Trauma Unit diagnosed John’s condition as unsurvivable later that night. According to his written instructions, John’s body was kept viable only long enough to allow him to be an organ donor. 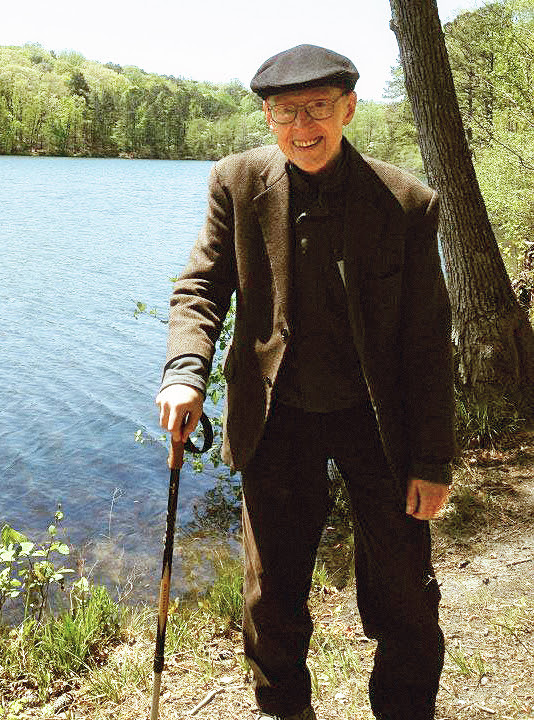 John lived with us in Tucker for the past eighteen months, after living in the Vedanta Society of New York’s monastic quarters for 53 years. He told many of us that his time here was one of the happiest and most productive periods of his life. A more detailed obituary will be sent to you soon. This is a great loss to our Center, very heartfelt by the many members of our congregation who had come to know and love John. Is John Schlenck really not with us? 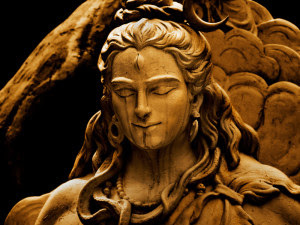 Points to ponder over Life, Death, and Immortality based on the most eloquent symbol of Lord Shiva, The Master of Dance, Drama, Death, and an Ascetic Detachment. Is Death full of Fear or Forewarning? What does our customary prayer,"From Death to Immortality" really mean? Why is Vedanta our steadfast Beacon when our vessel gets wobbly in a High Tide ocean? What, When, Why, Why Not, and What For? This Sunday, Dr. Majmudar and we shall take a good look at all of this. The Choir, by the way, will be singing one of John Schlenck's songs to Lord Shiva... we hope you will be there with us to sing along. Manifestation! “Manifest the divinity within you and everything will be harmoniously arranged around it,” Swami Vivekananda said. From our point of view, the degree of that manifestation is the significant difference between one human being and another. It is the goal of our spiritual practices. Swami Swahananda* often said, “The only true measure of spiritual progress is change in behavior.” Each of the yogas is a step-by-step system of practices which can enable us to make that progress. Karma Yoga focuses on action. Its methods change how and why we act, and encourage us to think differently about the results of our actions. 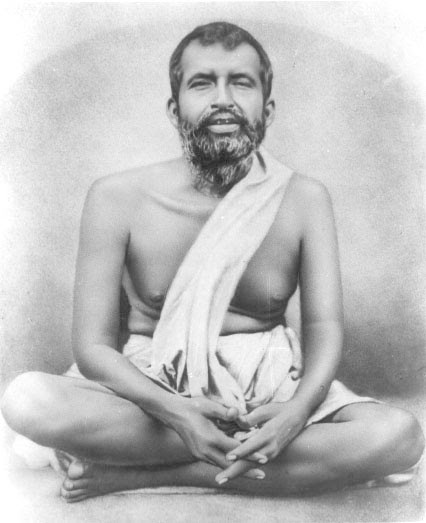 According to Vivekananda, Sri Ramakrishna took Karma Yoga to a new and higher level when the Master taught, “Serve jiva as Shiva!” (Serve the individual human being as the Divine Being.) Naturally, this practice begins as a concept; we do not ordinarily witness the divinity of another person. Yet, as we faithfully put that idea at the center of our acts of service to others, something extraordinary happens. Both that which is acting — our own divinity — and the divine presence within those we serve become more and more apparent to us. And, life becomes increasingly harmonious, as Vivekananda promised. We will discuss the Mater’s Karma Yoga, and the lives of some women and men who who embodied his teachings, this Sunday morning. *Swami Swahananda served as Head of the Vedanta Society of Southern California from December 1976 until his death in October 2012. The John Schlenck Memorial Choir looks forward to singing a selection of John's. Feb 14 - John Schlenck Memorial – 11 am; potluck luncheon follows. Swami Kripamayananda will develop and expand on these ideas, this Sunday morning. Join us for the veneration and worship of Sri Ramakrishna! Our pujari for Thakur’s Puja will once again be Dhruva. 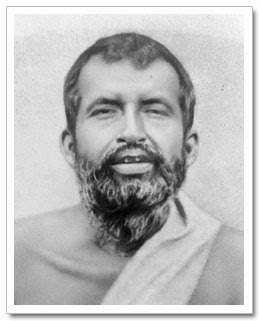 He knows the ritual and the Sanskrit mantras well, having served for years as a brahmachari in the Ramakrishna Order. Br. Shankara will assist, and read English translations of the mantras. Members of the John Schlenck Memorial Choir and Parvati Mahmi will sing and lead the congregation in song. The puja will be followed by a potluck lunch at noon; we will share food brought by devotees and offered to the Lord during the worship. Please note: If you bring something to be offered, please leave it in the monastery kitchen no later than 11am. 12:00pm to 1:30pm – Potluck Prasad Lunch in the Fellowship hall.